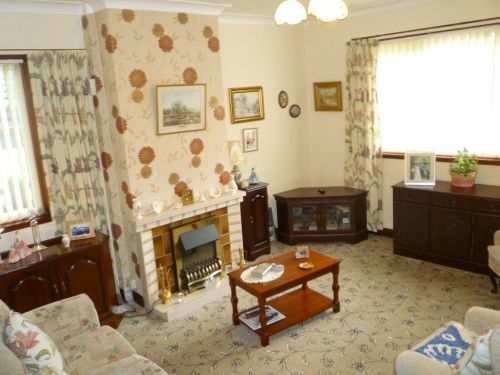 Three bedroom semi-detached bungalow offered in walk-in condition throughout. 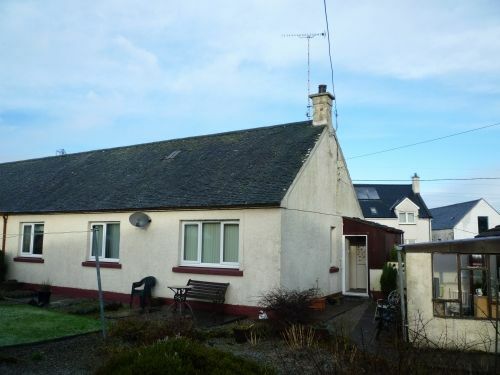 Situated on a corner plot in a quiet rural village location only 5 miles from Dumfries, 1 mile from the A75 and only a short drive to the site of the new Dumfries hospital and Kilnford farm shop and restaurant. Lochfoot has a primary school, village hall and is on a bus route to and from Dumfries town centre where all local amenities are available. The property boasts full double glazing, gas central heating, has generous garden grounds, off-street parking and detached garage. UPVC exterior door from sheltered entrance at front of property with two obscured glass panels providing ample light into the hall. Large double radiator. Ceiling light. Doors to all rooms. A built in shelved airing cupboard with light. Narrow cupboard with hooks. Fitted carpet. Wooden hatch to loft space with ladder, partial flooring and light. Heating thermostat. Hot water and heating controls. Fitted carpet. Central ceiling light with ceiling rose. 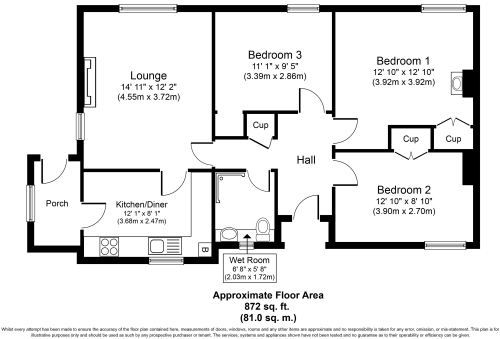 Large South facing window to rear of property and small East facing window to side both fitted with matching vertical blinds, curtains and curtain rail which will be included in the sale. Large double radiator. Coal effect electric fire set in tiled hearth, backing and mantle surround. 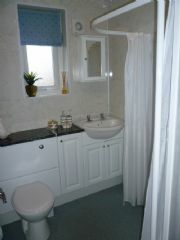 Fitted with a range of modern floor and wall mounted units (one housing the gas central heating boiler). Ample work surfaces incorporating stainless steel sink with mixer tap over and drainer to side. Tiled splashbacks. 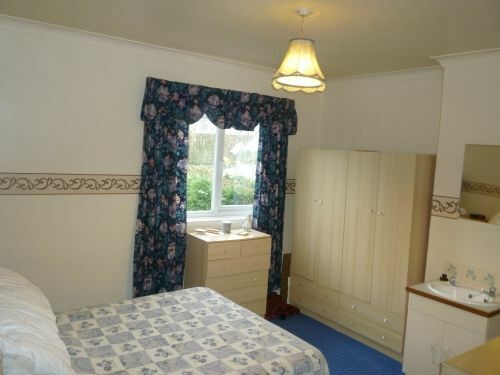 North facing window to front with roller blind, curtains and curtain rail which will be included in the sale. Space and plumbing for dishwasher. 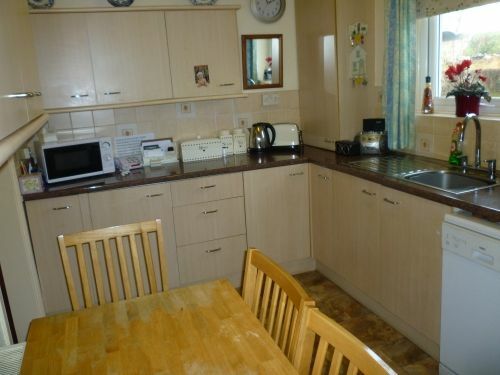 Space for slot in electric cooker. Space for dining table and chairs. Double radiator. Ceiling light. Tile effect vinyl flooring. Raised cupboard housing the electric meter and fuse box. Door into the porch. Space and plumbing for automatic washing machine with worktop over. Space for freestanding fridge/freezer. Raised storage cupboards. Ceiling light. 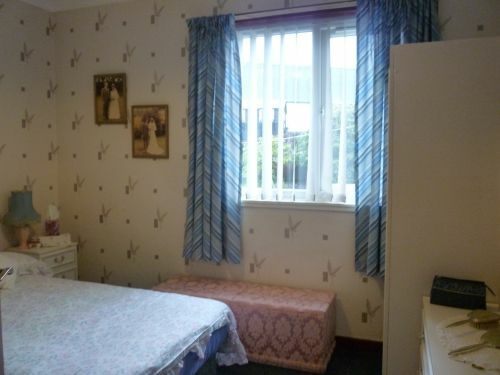 East facing window to side of property with net curtain which will be included in the sale. Tile effect vinyl flooring. UV strip light. Wooden panelled slanted roof. UPVC double glazed exterior door with half glazed obscured glass panel leading out to rear garden. Fitted carpet. Ceiling light. Large double radiator. Large South facing window to rear of property with vertical blind, curtains and curtain rail which will be included in the sale. Built-in wardrobe with double doors, hanging rail, coat hooks and shelf over. Fitted carpet. Ceiling light. Double radiator. Large North facing window to front of property with vertical blinds, curtains and curtain rail which will be included in the sale. Built-in wardrobe with double doors, hanging rail and shelf over. Fitted carpet. Ceiling light. Double radiator. Large North facing window to rear of property with vertical blinds, curtains and curtain rail which will be included in the sale. Alcove display area with shelved storage cupboard below and double doors. Fully fitted with wet wall panelling on each wall and comprises a modern three piece suite in white comprising WC with concealed cistern and washhand basin combined with cabinet below. Walk in shower enclosure with triton electric shower over and shower curtain. Obscured glass window to front with roman blind which will be included in the sale. Extractor fan. Central ceiling light. Double radiator. Hardwood double doors from driveway. Window to side. Power sockets. Two ceiling lights. Ample storage space. Three raised cupboards providing ample storage space. Open access leading into sun porch. The lean to sun porch measures 2.16m x 2.16m. Hardwood and glazed door from paved patio. Windows on two sides. 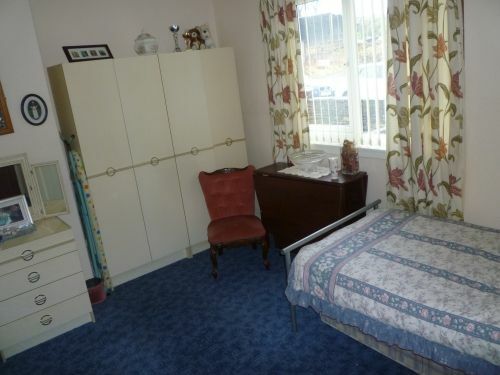 Space for a tumble dryer and power socket adjacent. To the front, the garden ground is mainly laid out in stone chips for ease of maintenance. Low sandstone feature wall with central gate and paved path leading to sheltered front door into hallway with security light adjacent. To the side, there is parking for one vehicle also laid out in stone chips which gives access to detached garage and gate through to rear garden ground. To the rear, there is a paved patio area which leads from back door at porch leading to garden ground and also lean to door which gives open access into detached garage. The garden ground is fully enclosed by wall, timber fencing and high hedges giving privacy from neighbouring properties. Variety of flowering trees and shrubs giving all year round interest. There is partial lawn area in the centre which has clothes drying line and poles and there is a further patio area with wooden bench. 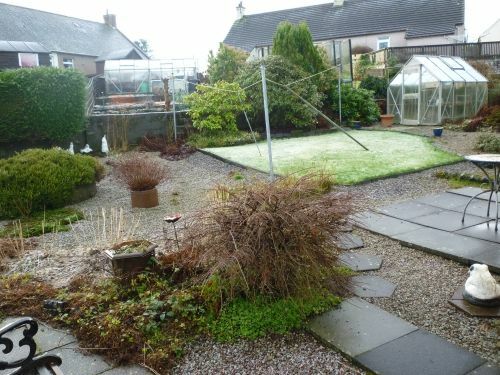 Detached greenhouse which will be included in the sale. All floor coverings, carpets, light fittings, blinds, curtains and curtain rails will be included in the sale. The energy efficiency rating on the EPC is D.
Mains water, electricity and drainage. Gas central heating. The property is in Band B. Strictly by appointment only. Please contact the selling agents on (01387) 257300. 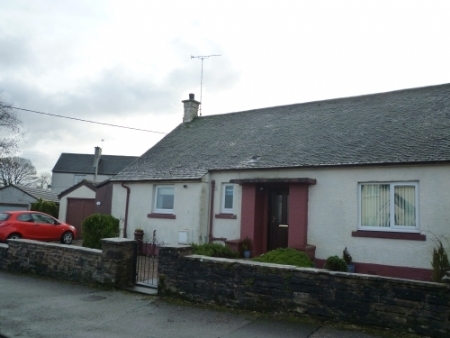 Fixed Price - £119,000. Offers should be made to the Selling Agents. Note: Genuinely interested parties should note their interest with the Subscribers in case a closing date for offers is fixed. However, the vendor reserves the right to sell the property without setting a closing date should an acceptable offer be received.